For the past few weeks, Julia has been working with First Form Latin from Memoria Press. We received the Complete Set for review. When Julia initially started high school, she thought she wanted to have ASL as her foreign language. But the more we thought about what she wants to do as an adult, she decided that Latin would be an asset. We are a Sonlight family, however, they don’t offer any Latin programs. So this review was a perfect fit for that need. A 9×7.5 inch Student Text with 34 two-page lessons on facing pages. 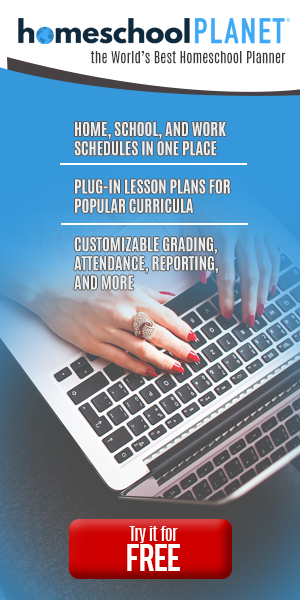 An awesome Teacher Manual that includes Student Text inset with answers in color, scripted lessons, recitation schedule, extensive teaching notes, and an FYI section for extra background information. A full-size Student Workbook with 4-6 pages of exercises per lesson. A Quizzes & Tests booklet with reproducible weekly quizzes and unit tests. DVDs (3 discs, 9 hours, 15-20 minutes/lesson) with explanations by former Highlands Latin School teacher Glen Moore. The DVDs also include helpful on-screen notes, illustrations, diagrams, and recitations. The student workbook teaches concepts through practice and mastery learning and is intended to be used by students in 4th to 9th-grade. I’d say it is great for anyone 6th grade and above who is new in Latin, or if you have completed Latina Christiana it would be the next step. Julia has had no previous Latin experience, which is why she started with First Form. She uses the program five days a week. Some days she does the workbook/lesson book and listens to the pronunciation cd, and somedays she reviews the material. Repetition and review are key to memorizing. The teacher guide is full of helpful tips and guides you through teaching Latin to your children. It walks you through teaching the different aspects of the program, along with suggested games and a sample schedule. The teacher key is simply the student pages and quizzes filled in with the correct answers. The workbook is where the bulk of her studies are spent. Each lesson contains between four and six worksheets that cover the following . . . The length of the different sections varies in the lessons. They seem to get longer the farther you get in the book. When I asked Julia what she thought about the program, this is what she had to say . . . I love it! I like the way it’s organized and that there’s mulitple worksheets to help me remember everything. The flashcards help a lot, too. Having the DVDs and CDs help me know I’m saying the words correctly. Without a doubt, I plan to finish First Form and move on to Second Form next year. I truly enjoy the Latin language. And the way Memoria presents it, it’s easy and fun. Julia loves it, which means I love it. We’ve found something she can use, will help her with the SAT, and undoubtedly is making her a smarter human being. Click the banner below to read more Crew Reviews about the many wonderful products from Memoria Press.